Support more than 40 IP camera protocols, such as DAHUA,Haikang,KEDA,Samsung,HIKVISION and TIANDY camera. 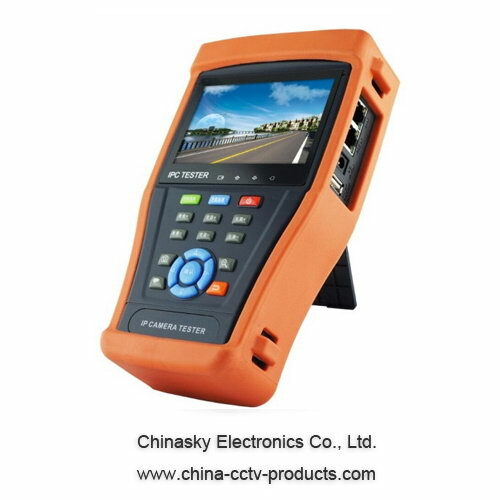 If IP camera manufacturers can offer Video Management Software that compatible with mobile phone or tablet PC, install the Video Management Software in the tester enable the tester to display IP camera image by IP camera viewer. AC/DC Voltage,AC/DC current.Resistance.Capacitance.Data hold.Relative measurement.Continuity testing . Testing speed: 3 times/ seconds,Data range -6600-+6600.